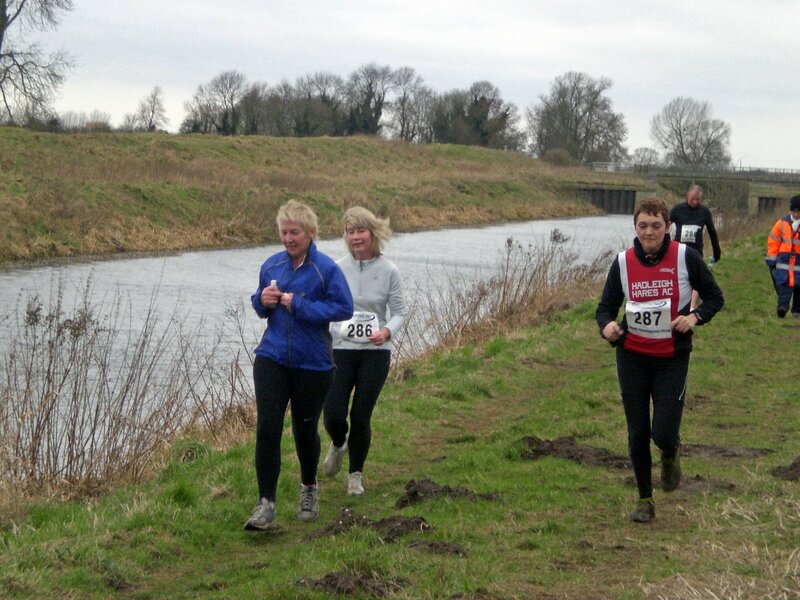 I have loaded up quite a number of additional photos from the Lakenheath XC back in January. These are to be found on my Flickr site try link here or on my flickr mobile on the left hand side of the page. 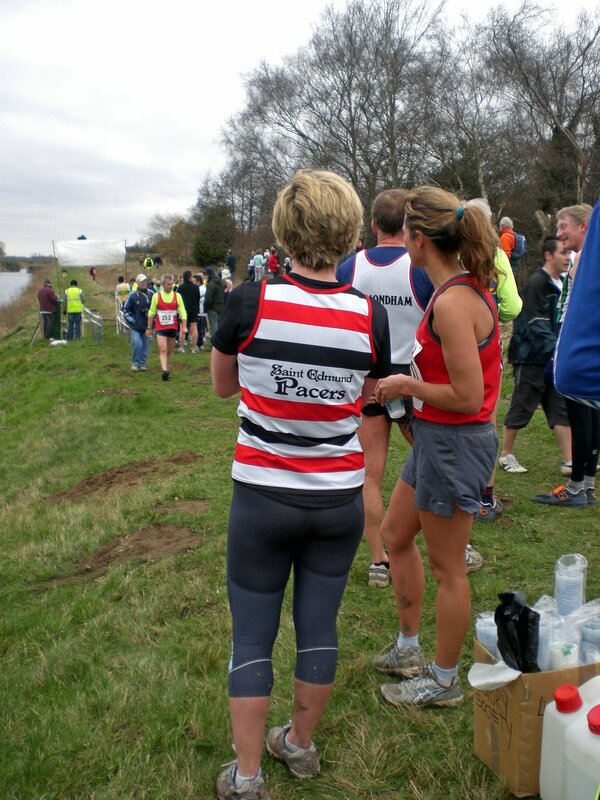 The Lakenheath Charity 5 cross country race always represents my first race of the year. 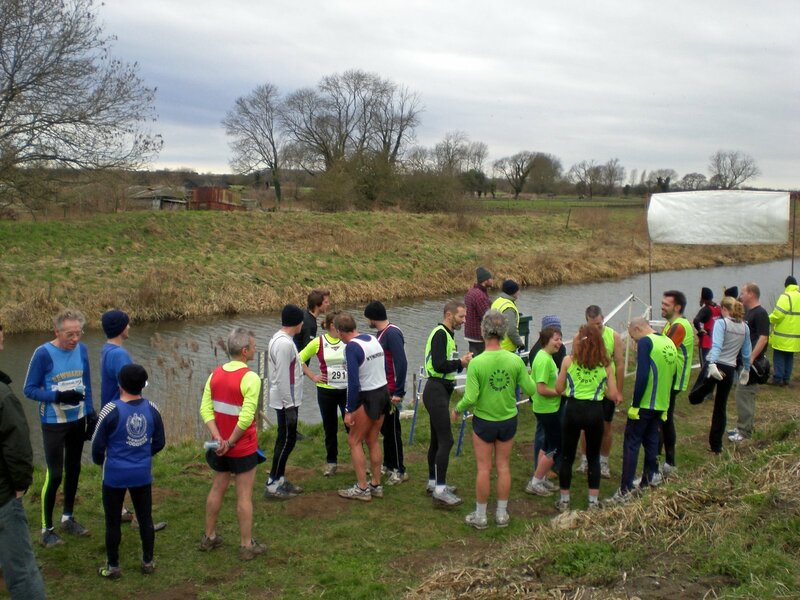 The race starts from the Lakenheath Cricket Club and at this time of year you can pretty much guarantee both cold weather and a strong breeze. This years race was advertised on the Runners World Website so I imagined there would be a higher entry than last year though from the number of finishers it appears only slightly up on last year with 121 finishers. 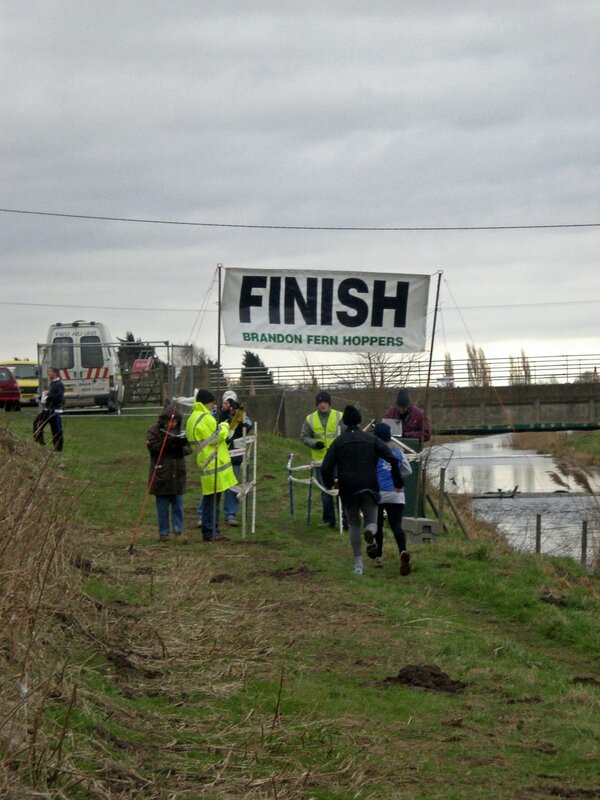 The Brandon Fern Hoppers carries all of the results on their site , see my link under Suffolk running clubs. When I arrived I did think twice about getting out of the car such was the apparent cold and wind. However once I completed my entry form and managed to bang my head on the window of the scoring room where the two ladies where working hard on last minute entries I sought sanctuary in the cricket club room. This seems to double as a children’s creche facility with every wall packed with packages and hanging mobiles. After a while it became necessary to warm up and along with several others I did a few laps of the cricket field. After running the last 4 days in a row i came into the race a bit tired and as I wasn’t expecting much of a time I decided to keep my leggings, sweatshirt and hat and gloves on. The start of the race had slightly changed this time starting on the bridge over the River Lark instead of off road so unless the finish was brought forward a little perhaps we ran a little further this year than last? Conditions under foot were really not too bad after recent rains. There was some mud and plenty of puddles. The run across the ploughed field was quite sapping and knocked the stuffing out of me and I think this and the combination of running up and down field banks avoiding root branches caught up with me and resulted in a slightly slower time for me than last year. My time last year was 41.11 so I was down half a minute which I had expected but was still disappointed with. The course is generally flat and suits a studded running shoe perhaps spikes if you own them. All of the run is over fields and tracks. The finish is a long straight besides the River Lark. During the race I had felt too warm and I had disposed of the hat and could have done without the sweatshirt, I will remember next year. Mike Chambers from Saint Edmunds Pacers puts on a really well organised event and it does deserve a much bigger entry. I will get round to loading up many other race pictures on to flickr as soon as I get time.